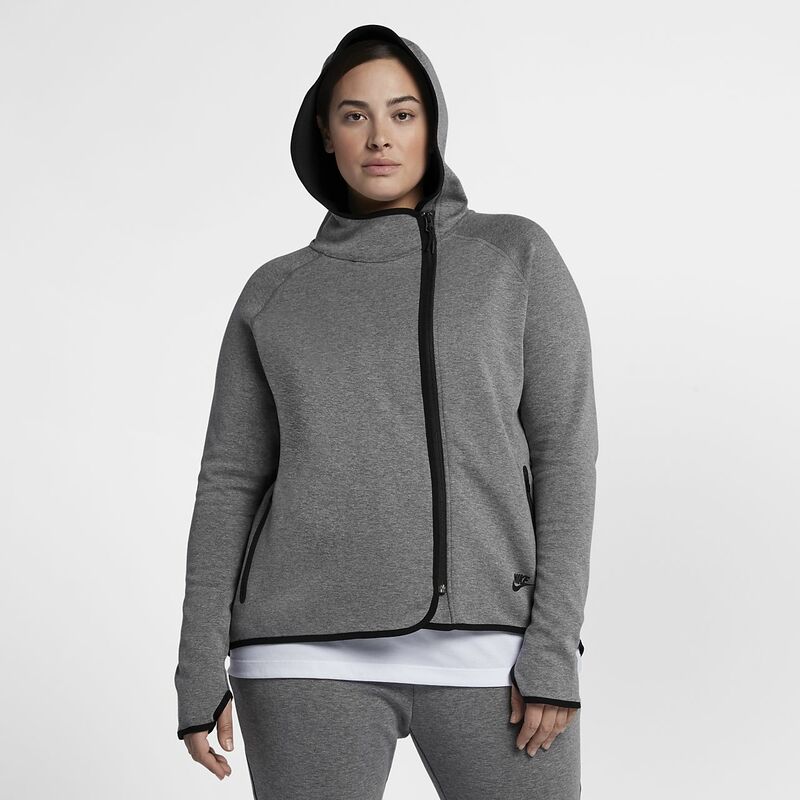 The Nike Sportswear Tech Fleece Women's Full-Zip Cape wraps you with innovative fabric for warm, comfortable coverage without extra layers. The Nike Sportswear Tech Fleece Women&apos;s Full-Zip Cape wraps you with innovative fabric for warm, comfortable coverage without extra layers. Fabric: Solid: 69% cotton/31% polyester. Heather: 67% cotton/33% polyester. I live in this jacket. It is so comfortable and I have gotten several compliments. I love this jacket. It is the quality and fit. The original price is beyond my price point, but you know that you can always get a good deal at Macy's. The color and fit is amazing. Plus size pretty in pink - enjoy it ladies. It is worth the money I spent.